Samsung Galaxy S6 : The next wonder phone ! The Galaxy series of smartphones from Korean giant Samsung have always been a crowd favorite, and the next in line is the Samsung Galaxy S6, which is expected to be one of the biggest newsmakers in the world of premium phones when it releases next year. As expected, it is making waves in various forums and tech websites. 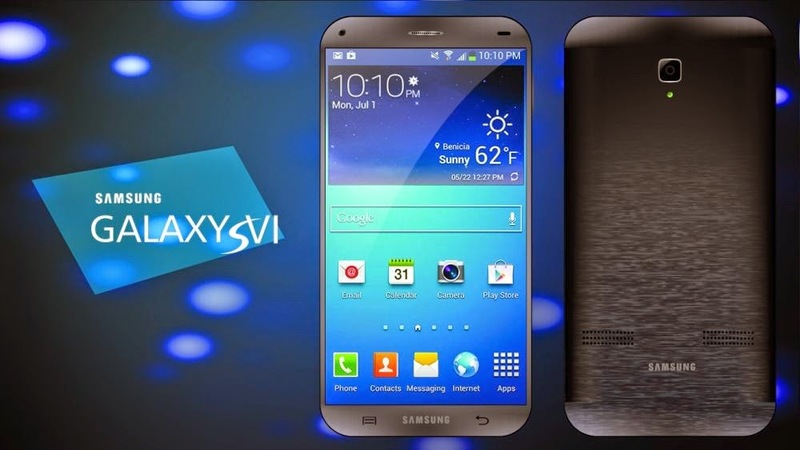 The Samsung Galaxy S6 should be one hell of a device, if rumors are anything to go by. It is going to be an amalgamation of great looks and fast performance, having better specs than any other devices in its competition. Galaxy S6 will face stiff competition from Apple iphone 6, Xperia Z3 and LG G3. 1. Quick Exynos processor: Samsung Galaxy S6 could be packed with a power house Exynos 8 octa core processor, capable of handling heavy duty apps and other features with considerable ease. 2. 20 Mega Pixel High Definition Camera: The handset will have a decent 20 MP camera with Samsung’s patented ISOCELL camera lens shutter technology, capable of taking full High Definition video. For video calls, the Galaxy S6 might also include a 7 MP , High Definition front camera . 3. 4K display, 6.2” curved screen display : The Galaxy S6 smartphone could feature a gorgeous ultra HD 4K resolution display, with a screen size of 6.2 " inches, and for added viewing amazement, it could also be a curved, bendable screen display. 4. Android 4.4 Kitkat : Most probably the Samsung Galaxy S6 could come with Android 4.4 Kitkat out of the box, which is Google’s latest OS, and is a proven quick operating system. It is also a remote possibility that any newer Android version may also be installed in the Samsung S6. 5. Fingerprint sensor : Similar to the recent Apple iPhones, the Samsung Galaxy S6 could feature a fingerprint scanner on the home physical button, for locking/unlocking the phone with ease. Retina scanning sensors is also on the line. The Samsung Galaxy S6 will be an amazing device in every sense of the term, with mind boggling features and specs. Please do not expect it to be a cheap phone-we believe that for around 800 USD , you could own the Galaxy S6. The most likely release date for the S6 is around April 2015, whereas you could possibly pre order it on around February the same year.